Welcome to the “86 Ways To Make Money From Nothing” Video Tutorial Course. On this page, I want to introduce you to the entire “86 Ways To Make Money From Nothing” course – so you can understand ‘exactly’ what you are going to learn as you go through these comprehensive video tutorial sessions. Although each video doesn’t have a seperate business idea, each one ‘will’ give you yet another “AHA!” Moment. But First! …… Please check out the Video below (tap or click) which will introduce you to the main points. 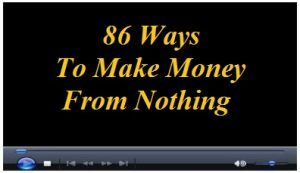 For starters, the “86 Ways To Make Money From Nothing” Video Tutorial Course is an online business model that requires absolutely no cash up front to make money on the internet. (Apart From The Small Cost Of This Course). These are proven business models that you can follow. You can build them up for FREE! and then scale them up with paid solutions, which is what we highly recommend after you go through this training and after you choose the right business model for YOU! Understand the concepts, implement them, and start to generate revenue in no time at all, then we encourage you to scale that up into paid solutions. That will really give you a permanent and stable business. The purpose of this course is to really get you going on the internet… so you can see it ‘is’ possible to make money with just a little bit of time and effort – AKA; ‘Your Free Energy’. 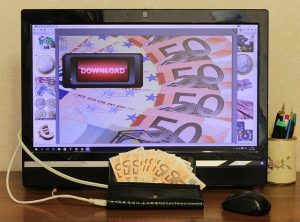 You don’t need to have a pile of cash – or ‘any cash’ for that matter – to kick start your successful online business. ALL of these ‘Systems’ have their own modules of numerous videos that are really comprehensive and Sooooo easy to follow along with. (Remember; you can always pause and rewind these videos if you’re not absolutely ‘sure’ about any points being made). Here is a quick rundown and overview of each of the business models that we will be covering. Module #1 is the ‘No Cost Product Launch’. This is where you can learn to launch your own digital information product. Information products are a great way to get started on the internet because it helps you to build up a following, and helps you to build up a reputation. Plus, the profit margins can’t be beaten. You’re also going to learn every step of the process – from the niche selection to the product creation aspect. The purpose of me showing you all of these in the introduction report is so that you don’t have to go through each lesson to decide which model you want to start with. Hopefully, from this introduction you can choose the business model that is best for you. You will also learn in the No Cost Product Launch how to recruit affiliates and the basics of proper sales copy. Every method covered is a free way to launch your own product. You’re also going to learn how to use a free auto-responder to generate buyer leads for yourself. These buyer leads can be highly, highly valuable. You can use them to promote other related products and offers to them for a great commission. You’re going to learn how to get buyer leads and how to ‘create’ your own product. All of this without having to invest a ‘single penny’ into your marketing! You’re also going to learn how to scale this up with paid solutions at the end. Again, ultimately, once you have made some money it is time to invest a percentage of that income into ‘paid hosting’ and other things that will help you to grow that income with hardly any more effort. The goal is to create a sustainable business and to be able to sustain that success for the long term. Business module #2 is about ‘No Cost Freelancing’. You’re going to learn how to run a successful freelancing business. You will learn the different services you can offer people. Keep in mind that many people do freelancing full time – 100% of their work is providing services for other people. This is a great opportunity to really get going and to explore the realm of freelancing. The beauty of this is that you really don’t need to spend anything to scale this method up. This method is very well laid out so you can follow it easily. Again, you can use it to generate a really good full time income by using these methods. You will learn how to use freelance and micro job sites effectively. You will also learn the best free methods to promote your services so that you can get the most exposure possible. You can also scale ‘this’ business if you really choose to. You can use an email follow up system, you can get paid traffic to generate more business, and you can invest in an ad on some freelance sites. We will discuss more later about all of the types of things you can do. You can kick start this business with absolutely no charges what so ever! Business model #3 is ‘No Cost Video Marketing’. This is where you will learn how to run this entire business for free! You’ll choose your niche and types of videos you want to cover for this method. You will discover the top 3 video creation tools. You’ll discover a step by step system in order to get yourself great exposure on the internet for your videos. You will learn how to market and tie that in so you can generate even more income. You are going to learn about the different types of videos you can make for this method. 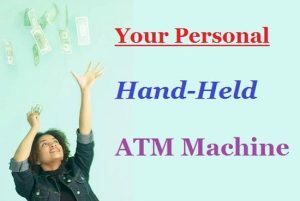 Then, you will discover how you can monetize this through list building, affiliate marketing, or through promoting your own product if that is what you have. Model #4 is all about ‘No Cost List Building’. This is where you are going to learn how to build your following with the list building process. Any sustainable, successful online business has to have an email list of some sort. The biggest companies all have them and the smallest companies have them if they are to be super-successful. It doesn’t matter if you are a one man operation or you are a huge, Fortune 500 company. You need to build a following up of some sort and E-mail is ‘still’ by FAR the most effective. In No Cost List Building, we are going to teach you the principles of list building. You are going to learn a brand new approach to building up your list. As you are doing that, you will also be building up your list of ‘buyers’ as well. This includes potential people that will purchase from you when you promote to them regularly using your Auto-Responder. We’re going to use all of the ‘no cost solutions’ for building a following online. This is literally unheard of. Most of time you have to invest in a domain name, you have to invest in hosting, and you have to invest in an autoresponder. 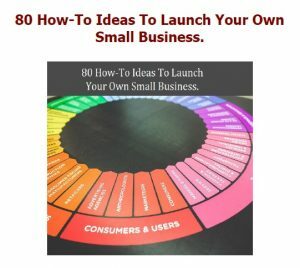 We’re going to teach you how to kick start your list building, how to start generating money with that list for FREE!, and ‘then’ you can invest in those methods that will take you to the next level in your business success. However, we are going to get you started with ‘No Cost’ List Building! You will learn free promotion strategies to build up a huge following with your list. You will learn the many different ways you can monetize your new list. Then you will be able to maximize your list building with paid solutions. Again, these are methods you can use ‘after’ your list building is done. These are things like paid ads, Facebook ads, and many other things you can do that will really vamp up your list building. Ideally, you want to start out the free way and learn the principles of list-building. Get going with it and generate some revenue. Then you can worry about investing some of that income. That is the beauty of this entire “86 Ways To Make Money From Nothing” course. We don’t want you to feel bogged down because you can’t afford this or that. In Model #5, it’s all about No Cost Affiliate Marketing. In this model, we’re going to choose a profitable niche to promote for this particular method. You will use the latest no cost strategies for getting traffic. You will learn how to build a quality free site completely from scratch. You can start putting content on that site and start building up traffic. You will discover methods to grow this into a full time income, using No Cost Affiliate Marketing. 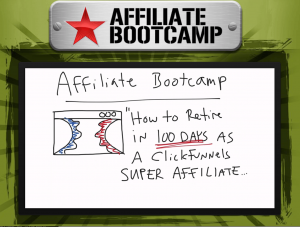 You can make a full time living just through ‘affiliate marketing’. You don’t even need your own products. Although that does help a lot, there are many people that ‘only do’ affiliate marketing and make themselves a ‘personal fortune’. This model’s going to teach you everything to do (in the right order) + the correct principles of affiliate marketing……. All at ‘no cost’ to You!! ……. Yes! You did read that right, and YES! You do get a 30 day money-back guarantee. Access is virtually immediate. You will pay through Paypal, be re-directed to my auto-responder optin form, then once you have confirmed that you wish to join the list you will receive the access key to the whole library of videos, ready to ‘click’n’play’ in your browser at any time of the day or night. Please tap or click the screen to purchase RIGHT NOW!! P.S. Don’t have a PayPal account? using your favourite credit/debit card. I cannot guarantee your success in any way here. Your success is totally in your own hands. But if you DO?? … The sky is the limit. Remember That You Have A 30 Day No Quibble Money-Back Guarantee. Try the system for 29 days …..
And I’ll Be More Than Happy To Refund You FULLY. independently of others – For YOU!